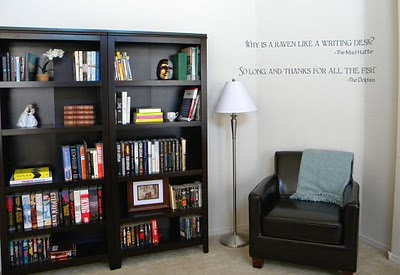 Cindy chose two quotes from her and her husband's favorite books and created her own custom wall quote to spice up their reading area. 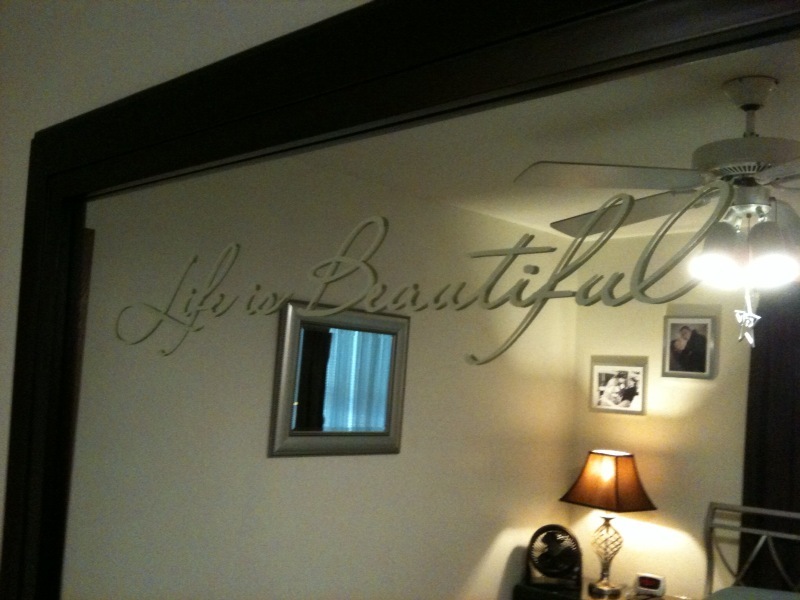 She says: "I received my wall quotes and they look great on my wall." 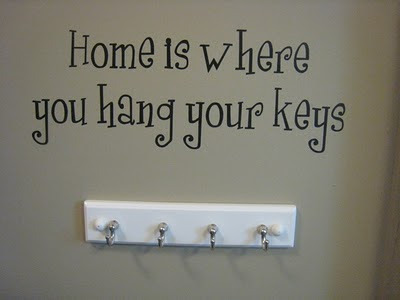 They do, don't they - and it's the perfect compliment for this space. Congrats, Cindy. Now you have a $50 gift card from Belvedere Designs to spice up any other little corner of your home - enjoy!